Looking for cheap monthly parking in Brisbane that’s secure? Then look no further! Safe and cheap parking in Brisbane is possible through Spacer - Australia’s premier peer-to-peer marketplace that connects people with space, to people who need space. Say goodbye to expensive parking rates and council parking fines! Spacer takes all the stress out of looking for parking space in Brisbane by setting you up with affordable private parking. Say goodbye to your Brisbane parking woes! Whether you are looking for a safe spot to store or park your car, motorcycle, caravan or boat, or for a long-term place to keep your furniture and more, we will find a secure parking spot for you. We are everywhere! You have quite a few parking options to choose from that are near the . Here are just some of the locations where you can find long-term parking near Tullamarine through Spacer: Westmeadows, Tullamarine, West, Niddrie, Glenroy… and the list keeps growing every day! Got a spare garage or parking space that you could lease? As a long-term Brisbane parking host, you can make some extra cash each month with little effort. You could earn up to $4,200 a year renting out your garage. It’s passive income at its best! Here are the details. Brisbane is the gateway to the state of Queensland and its many famous attractions. The central business district is situated inside a bend of the Brisbane River, about 15 kilometres from its mouth at Moreton Bay. There is no shortage of major attractions to visit and explore in Brisbane. South Bank is home to the Cultural Centre with world-class galleries and entertainment located just across the river from the CBD. 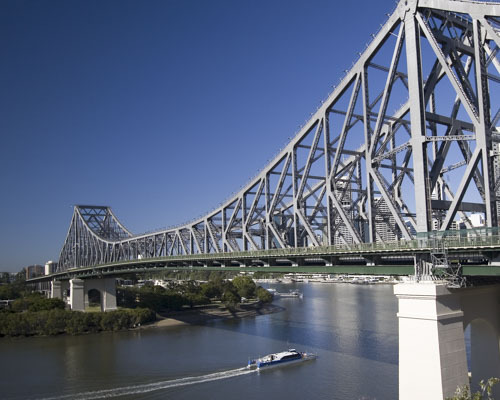 Brisbane is home to several attractions including Lone Pine Koala Sanctuary and the Story Bridge to climb. Further afield the regions including the Scenic Rim, Somerset and Lockyer Valley have no shortage of waterfalls, lookouts and mountains to climb, while Moreton Island is the place to feed wild dolphins and snorkel around old shipwrecks. 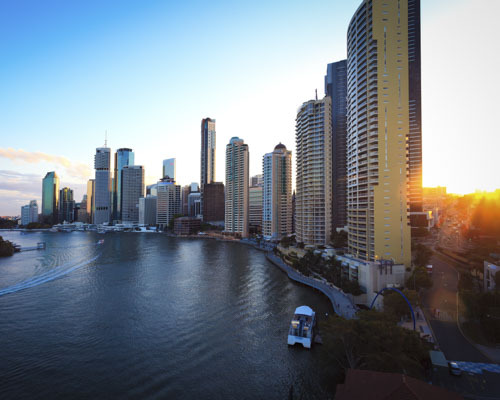 But apart from the fun adventures and great sceneries, Brisbane is also gifted with the best of the business district, education and healthcare. The Brisbane central business district or CBD, also locally referred to as The City, is the heart of the state capital of Queensland where Brisbane's major businesses are interspersed with several shopping malls, cinemas, parks and many of Brisbane's historical tourist sites. The Queen Street Mall is Queensland's premier shopping destination and a must see for all visitors. The City is home to over 1000 stores, including the largest range of flagship boutiques in Queensland making it the state’s premier shopping destination. It is also a food and drink paradise, with everything from burger joints and riverside bistros, to laneway bars and hidden cafes. Brisbane has plenty of sights to marvel at like a helicopter tour for a bird’s eye view of the CBD or the islands. The iconic Brisbane River is the perfect backdrop to the CBD. Experience the infamous river through cruises that provide great entertainment and good food. And if you’re feeling a little adventurous after your boat ride, visit the Kangaroo Point and climb the walls along the Brisbane River to get an excellent view of the CBD skyline just across the river. Brisbane has multi-campus universities and colleges which are all among Australia's highest rated universities. These include the University of Queensland, Queensland University of Technology and Griffith University. Other universities which have campuses in Brisbane include the Australian Catholic University, Central Queensland University, James Cook University, University of Southern Queensland and the University of the Sunshine Coast. Brisbane is also home to the Aboriginal Centre for the Performing Arts. There are also three major TAFE colleges in Brisbane; the Brisbane North Institute of TAFE, the Metropolitan South Institute of TAFE, and the Southbank Institute of TAFE. Brisbane’s private schools are the Australian College of Natural Medicine, the Queensland Theological College, the Brisbane College of Theology, QANTM, Jazz Music Institute, Jschool: Journalism Education & Training, JMC Academy. Brisbane is covered by Queensland Health's Metro North and Metro South health services. Within the greater Brisbane area there are eight major public hospitals which include The Royal Brisbane and Women’s Hospital, The Mater Hospital, The Prince Charles Hospital, and The Caboolture Hospital, to name a few. The Mater Private Hospital and The North West Private Hospital are just two out of four major private hospitals. 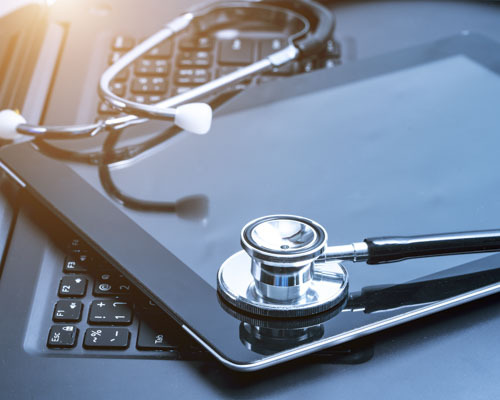 There are smaller public and private facilities, specialist and general medical practices that are located in the CBD, and most suburbs and localities. Brisbane has an extensive transportation network within the city, as well as connections to regional centres, interstate and to overseas destinations. The Brisbane central business district is the central hub for all public transport services. Public transport is provided by bus, rail and ferry services. Bus services are operated by public and private operators whereas trains and ferries are operated by public agencies. Though, urban public transport is available, most Brisbanites still prefer to travel by private car. Brisbane is a genuine new-world city. Even though it is rapidly developing and forward-thinking, its positive attitude and creative confidence maintains its youthful enthusiasm and vibrant atmosphere. Brisbane’s friendliness continues to attract tourist and locals alike. These days, the booming city invites people to move in slowly growing their population. The most popular suburbs in Brisbane that people settle in include Brisbane CBD, South Bank, Fortitude Valley, Ascot and Hamilton, Bayside, New Farm, South Brisbane, Spring Hill, Paddington and West End. While public transport is available, a car is still the quick way of getting around. Just be wary of the height of peak hour where Brisbane is notorious for having roads that bottleneck. Many of the roads in the CBD are one-way, making driving in this area complicated for people unfamiliar with the layout. Parking is readily available in parking stations in the city but can quickly become expensive. The CBD roads become clearways at 4PM, and any cars parked on the side of the road will be fined or towed. It is suggested to use parking stations or rent a long-term parking space will save you not just money but time. Spacer provides a list of secured and affordable parking spaces from carports, to driveways, to garages and commercial parking spots. You are guaranteed to find the perfect spot for your car near your home or workplace. There are many underutilized spaces in Brisbane that may be turned into additional income by renting them out to other locals. Spacer creates a sharing community where hosts and renters meet just within the neighbourhood.